Remove to the two cotter pins off of the slide pins. 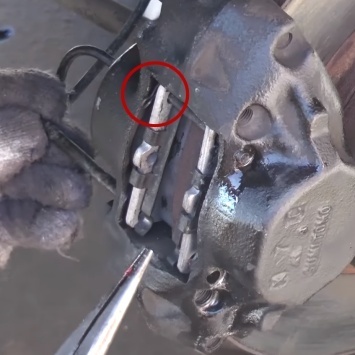 Tap the end of the pin with a drift to work it out the back side of the caliper. Completely remove both pins. 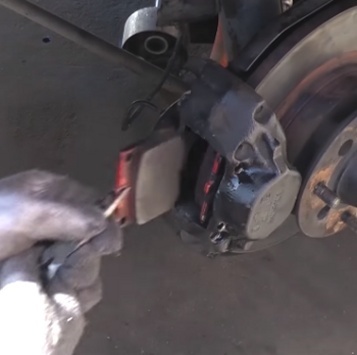 Remove both retaining clips from the top edge of the old brake pads. 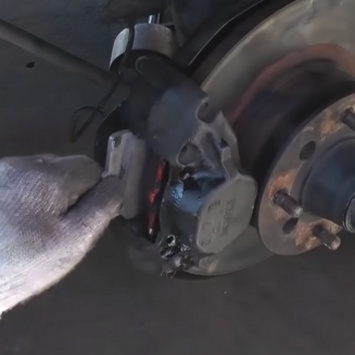 Grab the brake pads with some pliers and pull each one out. 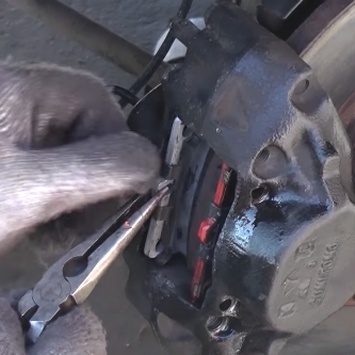 If your new brake pads do not have a thin shim plate, then remove the old shim from the used brake pad to transfer to the back of the new pad. 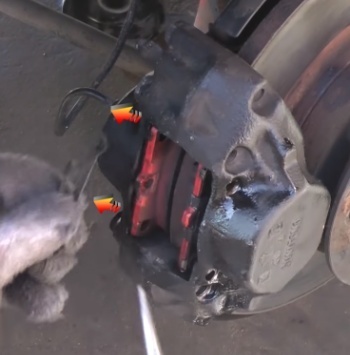 Install both new brake pads. Set the retaining clips back on to the top edge of the pads. 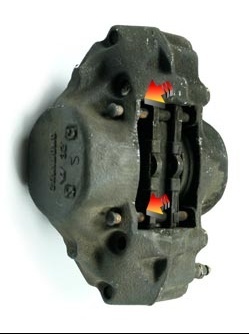 Some brake pads will come with new retaining clips. If you have new clips, then use those. 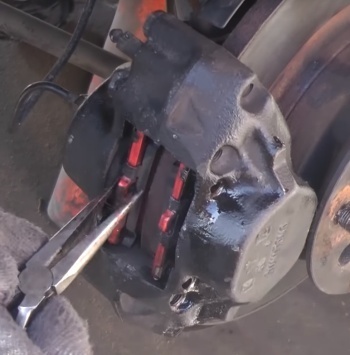 Slide the retaining pins back in and move the brake pads so that the holes line up to accept the pins. Once that is complete, be sure to put the little cotter pins back on the larger retaining pins to keep it all together.